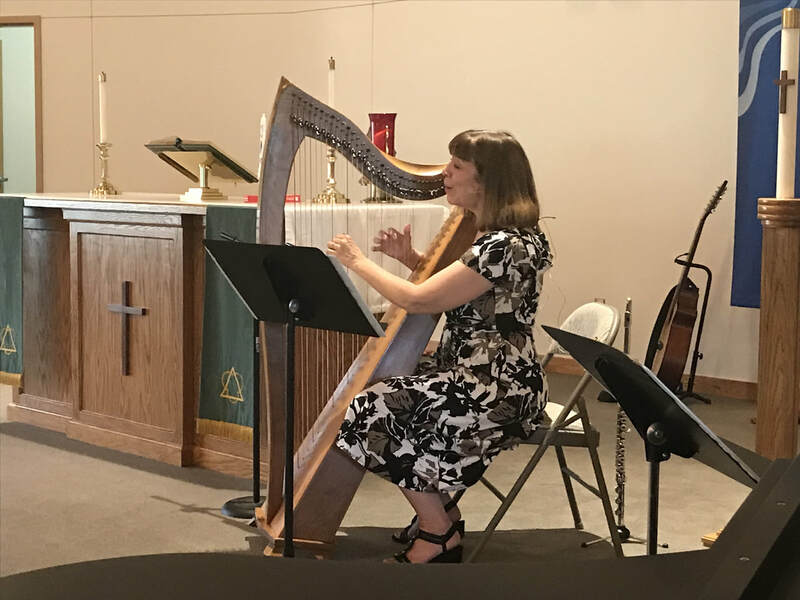 Karen Gunderson, along with her son and husband, shared a very hopeful message on a beautiful Saturday evening in July at SSLC, drawing on her years as a musician working in the field of Hospice. We want to express a special thank you to Karin, as well as to the SSLC Choir for hosting the event. The Lutheran church is often called "The Singing Church." We love music and we enjoy using our voices to praise and worship the living God. The power and influence of music in the modern world is undeniable. Everything we listen to and sing affects who we are and how we think. South Santiago Lutheran recognizes that worship evolves and changes, including Christian music. With that in mind, our church music programs proudly include a modern musical group, in addition to our traditional church choir. Our Contemporary Music group of Gods' servants brings a wide range of contemporary Christian music to help prepare Gods' people to open their hearts to the healing message of Jesus Christ. We rehearse the second Saturday of each month, and perform the second Sunday of each month. Our Adult Choir adds to the powerful experience of worship on Sunday mornings. This gifted church choir is united in the pursuit of beautiful choral singing to the glory of God. We rehearse each Sunday between services during the school year, and perform the third Sunday at both services during the school year. All are welcome to visit our rehearsals if you are interested. Bring your voice, your instrument and an open heart to rehearse and jam with us. You do not need to be an expert musician to bring your talents as an offering to God and as a service to Gods' people.